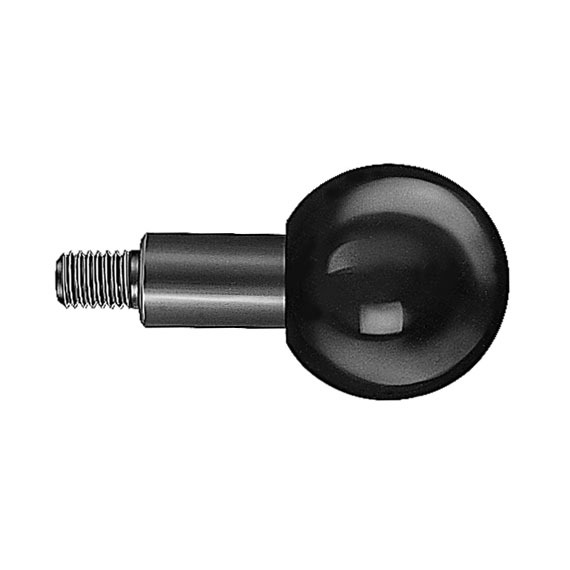 Revolving ball knobs can be utilized instead of revolving handles i.e. with handwheels. Maximum heat resistance: 150°C (300°F). 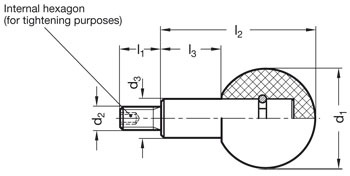 For certain minimum quantities, revolving ball knobs with internal threaded shafts are available upon request. For use on this handle: DIN 911 hex keys available.